FRANKFURT, Germany – March 24, 2010 – Line 6, Inc. (line6.com), the industry leader in digital modeling technology for music-creation products, announced today the next generation of Variax® modeling guitars: Variax Designed by James Tyler. This new line of guitars is designed to deliver the feel of the finest boutique instruments and the optimal tonal performance of Line 6 guitar modeling technology. Through patented Line 6 guitar modeling technology, Variax guitars can reproduce the sounds of an entire collection of 25 vintage electric and acoustic instruments, and a dozen custom tunings. The modeled instruments include solid-body, semi-hollow guitars and hollow-body electrics with a variety of pickup configurations, six- and twelve-string acoustics, and other guitar-related instruments including a resonator, banjo, and an electric sitar. In a launch as creative as the instruments are innovative, Line 6 will be chronicling in real-time the design and development of the new guitars. 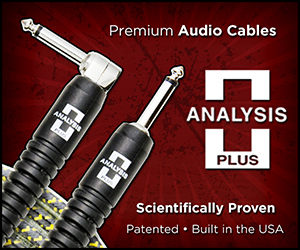 At www.TylerVariax.com, the public is invited to participate firsthand in the evolution of these groundbreaking instruments. Each Variax Designed by James Tyler will ship Summer, 2010. 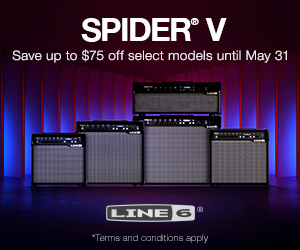 Based in Calabasas, California, Line 6 is a leading manufacturer of guitars, amplifiers, effects, effect processors, and recording interfaces. Line 6 is world renowned for its studio- and stage-standard gear featuring its patented amp and effect modeling and digital wireless technologies. Line 6 invented digital guitar amp modeling technology in 1996, and is currently the #1 maker of guitar amplifiers. Its award-winning products are used by musicians worldwide and have been featured on countless platinum and Grammy® award-winning titles. Line 6 is distributed in over 60 countries with operations in the United States, the United Kingdom, and China. 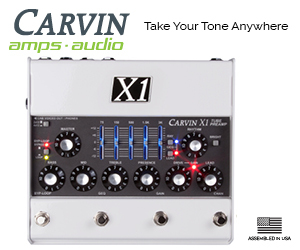 For more information, visit www.line6.com.